Explore the best of South Africa as you wind your way from bustling Cape Town across the enchanted winelands and along the Garden Route. From the natural splendors of Cape Town to the vibrant nightlife along the V&A Waterfront, Cape Town is the city for everyone. From here you will head to the beautiful ‘Gourmet Capital’ of South Africa, Franschoek, where you will explore quality wine estates. Top of your journey by experience the natural beauty of Plettenberg Bay & the Garden Route. A holiday perfect for honeymooners, couples and families seeking a fun-filled relaxing time together. Day 1 – 3: Cape Town The city of Cape Town fits snugly between ocean and mountain. Apart from the famous Table Mountain and a string of historic sights, bars, beaches, restaurants and shopping stops, the ‘Mother City’ as the she is affectionately called, is also one of the friendliest and most welcoming you will ever visit! 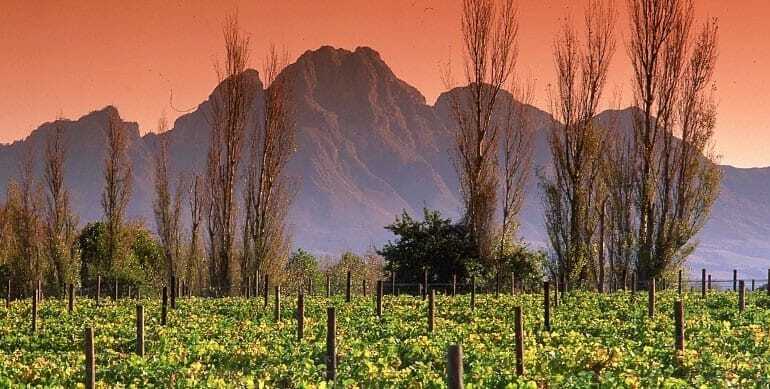 Day 4 – 5: Winelands & Franschoek Over the next two days you will explore the winelands and do some wine tastings in one of the many vineyards in the area. If you like, we would be happy to recommend some of the most respected vineyards and restaurants that lie along this route. Day 6: Outdshoorn Drive inland to Oudtshoorn, the ostrich feather capital of the world. Day 7 – 9: Plettenberg Bay Today you will drive along the coast to the coastal town of Plettenberg Bay, one of the most spectacular holiday resorts in Africa, known for its temperate climate throughout the year. Plettenberg Bay has magnificent spacious stretches of beach, ideal this time of year for soaking up the sun and swimming in the Indian Ocean. Day 10: Departure from Port Elizabeth to Johannesburg and your connecting flight home.